For years I’ve been using a simple point and shoot camera to photograph my travels. But after numerous recent requests to write and produce articles for magazines, newspapers and other online publications, I’ve decided to put more effort into the photographs I take while on my travels. In order to help me achieve a new level of photography expertise, I decided to purchase a Canon 50D SLR digital camera. In the process, I ordered some additional camera equipment as well, included the LowePro Slingshot 200 backpack (shown below). Not everyone is going to want to carry this much camera gear, but in the event that you too are an aspiring travel photographer, I thought I’d share with you the list of equipment I am currently using. I’ll be sure to review each of these products in further detail at a later point in time. 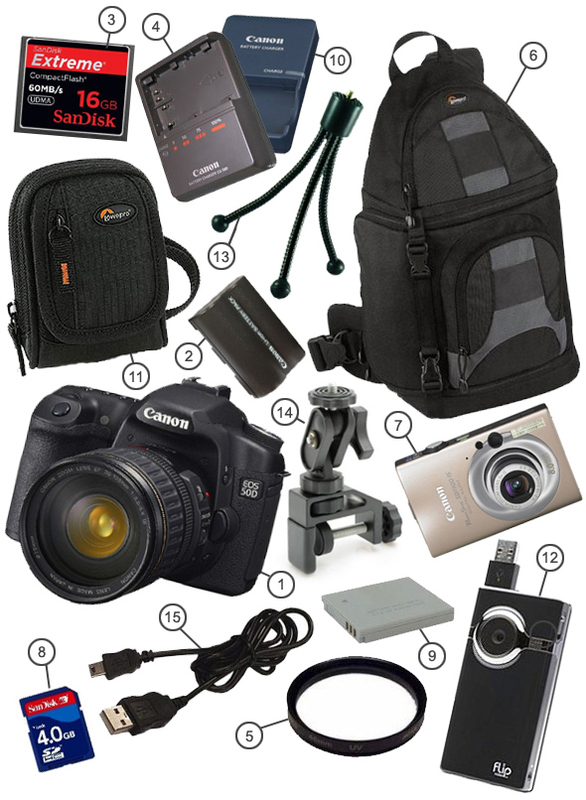 In the meantime, however, I’d be curious to hear what kind of gear are you currently using to photograph your travels? This entry was posted in Bicycle Touring Pro Articles, Cameras, Electronics, Products, Shorts, Tech and tagged best travel camera, bike tour photography, camera equipment, camera gear, canon, canon 1100, canon 50D, lowepro, point and shoot, professional travel photographer, travel cameras, travel gear, travel photography equipment. I have a DSLR but when I travel I carry only a Lumix LX3, battery/charger, SD cards, a small Lowepro case and an Ultrapod II. The Ultrapod is more flexible than it looks because it includes a nice velco strap to wrap around thin enough objects when there’s no flat surface and it’s very light. Darren is engaging in photography for work. This is far different from documenting one’s ride in some snapshots. As a professional photographer and video producer, I do not carry my real gear on my bike and I only work the craft if I’m compensated and that means I’m not riding. 1. Wear your bike gloves to the camera shop and be sure you can use the controls. 3. Look for a rig that is powered by AAs. 4. Only buy a camera you won’t mind losing, having stolen, or dropping on the pavement. 5. There is no valid reason to buy more resolution than your favorite distribution media; you do not need more than 3 megapixels if you’re mounting your pictures online or via email. 6. Beware of more features than you know how to use or that degrade the utility of the machine. For instance, digital zoom is worthless marketing BS. 7.. Get a good protective (not black) and wrist lanyard (I’ve seen people go down in the gravel trying to catch a dropped camera). 8. Consider a ruggedized camera that is water resistant, sweat- and dust-proof. 9. Consider an off-loader because if you camera is lost or stolen, your whole trip is gone. 10. Cameras are not jewelry, they are tools. Stop riding and get off the bike. Look for things to shoot. Wait for the light; what else have you got to do? Take lot of pictures that don’t have any people in them. 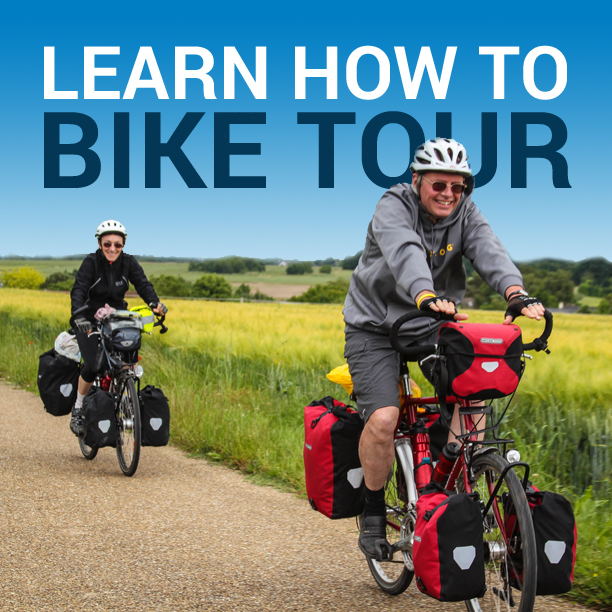 As much as I’d love to take my D300 and my 70-200mm 2.8 VR1 – It just ain’t practical for bike travel – I think I’d need two trailers – one for gear and the other for photo gear….